This thread is intended to be a companion to my 2013 conference presentation on the same subject and to serve as a future repository for information about the MivaScript debug log mechanism and its use. I'll be updating the first few posts over the next couple days to include additional technical information and examples. Debug logging is supported on MivaScript engine versions 5.10 and newer. On Windows, there is a simple configuration dialog that allows the debug log to be configured. Mia has a single debug logging setting that is applied to all scripts. On IIS, the settings can be applied to an entire website, a directory or an individual file. Logging functionality on UNIX is identical to Windows and is configured differently depending on which configuration library you are using. The values for the directives are the same for either configuration library. On UNIX, the log file is always created in the mivadata directory. On Windows a full path is provided. The log level is a bitfield, with each field controlling a single loggable item. In practice, this means that there is a particular numeric value assigned to each item and to enable multiple item you just add their numeric values together to obtain the final log level value. On Windows, the configuration dialog takes care of this for you and it is a simple matter of checking the checkboxes for the items you would like logged. Using the list above, if you wanted to enable MvCALL and Application Timeout logging, you would add their two values together. 1048576+134217728= 135266304, so you would use the value 135266304 for your log level. In v5.13 or higher, you may apply an additional filter to the debug log to limit the log messages to those that were generated by particular source code. When a filter is specified, only those lines of code which match the filter will be logged. "sourcefile" corresponds to the name of the MivaScript source file. This is generally the exact value that was passed to the MivaScript compiler when the source code was compiled. "start_line" and "end_line" refer to source code line numbers within the source file. A range may be specified like this: "1-10". Within a range, either the start or end may be omitted. For example, "-100" means lines 1-100 and "100-" means lines 100 through the end of the file. Source filenames and line numbers will generally be determined by examining the source code being debugged. However, they may also be inferred by generating a debug log without a filter and gathering sourcefile and line number values from the log. Multiple filters may be specified by separating them with a comma. v5.17 extends the filtering mechanism to add the concept of an exclusionary filter. By preceeding the filter value with "! ", its function is reversed and any lines of code that do NOT match the filter are logged. Inclusionary and exclusionary filters may be combined, and will be applied in left to right order. 1. The log cookie configuration setting. On Windows, the cookie value is configured within the same debug log settings dialog as the rest of the settings. On UNIX, it is set using the logcookie configuration directive (3.x configuration) or MvCONFIG_LOG_COOKIE environment variable (environment based configuration). 2. The diagnostic tool which allows you to set the cookie on a target client. Last edited by burch; 03-07-13, 12:49 PM. mvcov is a code coverage tool. Its purpose is to read a trace log and overlay a source file with information that displays which source lines correspond to executable code, which of those lines were exected and how many times each line was executed. We use this tool internally when developing test cases to ensure that all logic paths within the source code are tested. For debugging, when the source code is available, it can also be used to visualize the flow of execution. 1. Enable logging: mvcov requires a trace log to generate its output. On Windows, this means that you would check the "Source File/Line Number Trace" checkbox. On UNIX, you would set your log level to 1073741824. 2. Generate a log file: After configuring logging, any requests made to the site being debugged will result in those requests being logged to the debug log. The trace log is extremely verbose, so if using this on a live site you absolutely must make use of one of the filtering mechanisms (or even better, the log cookie) to avoid slowing the site down or generating an enormous log file. 3. Run mvcov: You will need the source code, log file and mvcov tool on the same system. In order to generate the overlay, mvcov needs to be able to read the source files referenced within the log. By default, it will attempt to locate the source files relative to the current directory, but you may override this behavior with the "-b" flag. It will also, by default, generate output for every source file referenced in the log, unless you specify one or more "-f filename" options to limit its output. Above is a snippet of the output. The first section indicates how many times that particular line of code was executed. "#######" indicates that the line was not executed at all and "-" indicates that the line contained no executable code. Following that is the line number, then the actual source code itself. The attached .zip file contains the complete output from mvcov as well as the raw debug log file. Last edited by burch; 03-07-13, 12:42 PM. mvprof is a profiling tool that can be used to visualize and troubleshoot the performance of MivaScript programs. 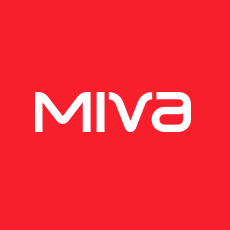 When applied to Miva Merchant, it is extremely useful to diagnose slow loading pages and other odd performance problems. 1. Enable logging: mvprof requires a log containing function call and return data to generate its output. In most cases, MivaScript functions are the ones you will be interested in profiling, so on Windows you would enable the MivaScript "Function Call" and "Function Return" options, or on UNIX would use a log level of 144. It is possible to include profiling of builtin functions as well, but you need to be careful about introducing a time bias into the profile by generating an extremely large log file. 2. Generate a log file: After configuring logging, any requests made to the site being debugged will result in those requests being logged to the debug log. It is strongly recommended that you only attempt to capture a profile log on a live site using the 5.18 engine and the new log cookie mechanism. 3. Run mvprof: mvprof does not require any source code. Once the log file is transferred to the system containing mvprof, executing mvprof is usually as simple as "mvprof logfile". In these examples I profiled the PROD page for a stock PR8 Update 2 store that had 147 configured product custom fields. This is an actual use case and the information we found from this type of profiling was used to develop the custom field performance enhancements in later PR8 updates. Above is an example of the flat statistics portion of the output log and below is an example of the call graph portion of the log. mvprof generates both sections for each individual logged process. The flat statistics section shows the functions that were called in the log sorted with the functions that took the longest total time at the top. In this example we can see that about 1/4 of the page's entire execution time was spent in productfield_load_code, which was called 147 times. The call graph section shows each function broken down with information about callers of that function and functions that it itself directly called. Indented functions above the function in question are functions that directly called that function. Indented functions below the function are functions that it called. The graph also breaks down the time spent in the various functions as well as what percentage of the calls to that function were from this source. In the example above, all 147 of the calls to productfield_load_code were made from module_product_field_name, and 294 of 300 total calls to db_compare_upper were made from productfield_load_code. The attached .zip file contains the raw debug log as well as the complete output from mvprof. Last edited by burch; 03-07-13, 01:17 PM. This sounds great, thank you for all the info! I'd like to use mvconf to an analyze our live site. I have SSH access to our server, but beyond that I'm not confident in what to do next. Can you confirm if these steps are even in the right ballpark? MvCONFIG_LOG_LEVEL - I'm not sure what level corresponds to a page load? ​Generate a log file: this should be automatic based on the description? Run mvprof: will it know to use the mvconfOutput.log I set up in step 1? First, the log cookie is not available in the currently released engine. It requires 5.18, which should be released early next week. I highly recommend you wait until you are able to upgrade to 5.18 to attempt to do any profiling of live sites because without the log cookie setting ALL requests to your site will be logged as soon as you enable the debug log. If you have a high volume site this could result in hundreds of megabytes of log data being generated. Once those lines are added to the config file, logging is enabled. If you were on a version that does not support logcookie, the log file would start growing on the very next request to your site. diagtool.mvc is included with the 5.18 engine distribution or may be obtained from our Knowledge Base. 3. Make whatever hits to your site you want to profile. 4. Disable logging, either by removing the lines from your config file or by commenting them out (add the character "#" at the beginning of the line). I recommend doing this even if you are using logcookie. 5. Download the log file to your local PC. It will be in your mivadata directory. 6. Start a command prompt and run mvprof on the log file. You can use -o <outfile> to store the output in a text file (otherwise it is printed directly to the terminal). We've released 5.18 from development and it should be available shortly. I also updated comment #5 to include a screenshot of the relevant sections of diagtool and added a link to our Knowledge Base article where you can download the tool. The above needs to be set BEFORE you try to set the cookie using diagtool.mvc (and I assume, through the Windows dialog box too). Phosphor Media - "Your Success is our Business"
You don't need shell access, just the ability to edit mivavm.conf, which you can usually do through a control panel. The ability to change the engine configuration or enable debug logging programmatically would be a gigantic security risk, so there's no chance we'll be adding it. But how would you parse the log file? It seemed (from the instructions) that the two parsing routines where built into the engine? The log is just a text file. The mvprof and mvcov tools are part of the compiler distribution. We usually download the log files from the server and do the analysis of them locally. I am having three problems getting mvprof to work. I am on engine 5.19. 2. Also having problem getting the shell terminal to work through plesk. It does not accept my password. 3. The diagtool.mvc says the logcookie is not set at the engine level. I can set a cookie on my browser through firebug. I've rolled back everything for now and removed diagtool.mvc. It sounds like you weren't editing the correct configuration file. If your site is hosted with us you can open a support ticket and we can get to the bottom of things.